Giten received a beautiful seleonite crystal from Shanti Deva, which expressed her gratefulness for satsang with Giten. The selenite crystal is one of the most healing crystals, which brings down healing and mysterious energy from the highest levels of existence. The crystal stands on a lamp, which now makes it dance in all colours of the rainbow during satsang with Giten. 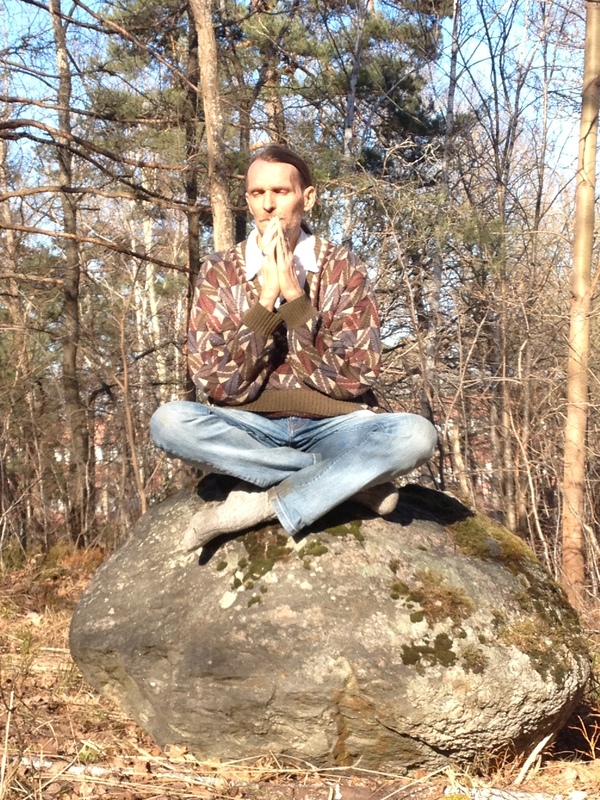 Josefairy receives a new name during initiation with Giten during satsang weekend, 23-25 November, in Stockholm. Giten said that her new name is Shanti Deva, which means peace through God, through the divine. Giten also said to Deva that when you become a total silence, a total emptiness, only then liberation happens. The evening continued with silent satsang with Giten, which ended in deep silence. The evening ended with exquisite blueberry cake, ecological strawbery lemonade and delicious Amarone della Valpolicella, Italian wine.